From now until December 25th, with every cd purchased through our website, you will receive a free copy of our 'This Is Christmas' cd! Here it is December...where in the world did this year go?! Time seems to fly by more and more quickly with each year that passes! Here we find ourselves at the beginning of the Christmas season. It truly is one of the most wonderful times of the year, as it does seem to have a positive change upon people. Folks seem to be kinder toward one another. There seems to be more brotherly kindness. There seems to be a shift in focus from one's self to those in need. There is something magical that seems to be almost tangible, floating through the air. 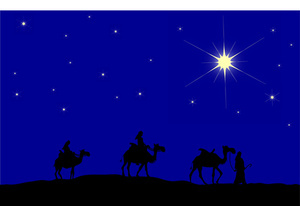 As a vital part of the Christmas story, we know that wise men set out following a star in search of the Christ child. They went seeking for the one who had been promised to be sent to guide and save them. It says they diligently went searching for Him. The didn't just go out on a casual stroll and hope to happen upon Him. No, they went out with purpose and determination. The sought after Him. And when they found Him, they offered all they had to Him...the gold, frankincense, and myrrh, and they worshiped and praised Him. And after we have found Him, we will not be able to help but want to bring others to Him as well. As it says in Luke 22:32 "...and when thou are converted, strengthen thy brethren." When we know Him, when we have felt of His love, and know of His power to change lives, we will want nothing more than to share that with every soul we come in contact with. There are so many in this world that are lost. That are searching. That are seeking. That are in need. That are hopeless. That are desperate. There are so many that just need Him...they need Jesus and the mighty change that He can bring about in their heart and in their life.